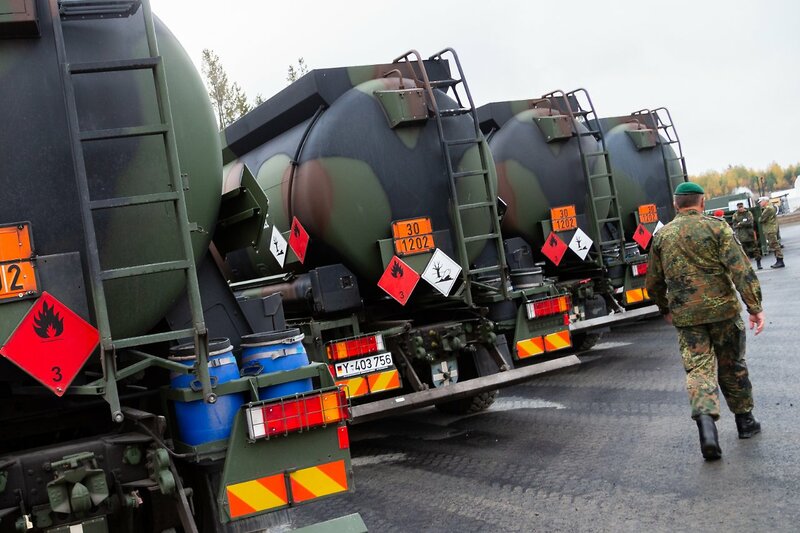 In NATO's maneuver in Norway, around 50,000 soldiers from over 30 countries are experiencing an emergency. The Bundeswehr is also involved with several thousand soldiers. After the end of the maneuver a German soldier is killed. A German soldier who participated in a NATO maneuver in Norway died in a traffic accident. This is reported by the Norwegian police and the Bundeswehr. According to police, the man was standing on a highway at Haltdalen near a military vehicle on Friday night when he was hit by a civilian car. He died on the scene of the accident. The soldier belonged to the 5th Company of the Alpinist Battalion 232. In the "Trident Juncture" NATO operation, about 50,000 soldiers from the 29 NATO member states, as well as partner countries Finland and Sweden have participated in the last two weeks. The NATO maneuver is considered the largest since the end of the Cold War. The Bundeswehr was represented by more than 8,000 soldiers in Norway, making it the second largest group of troops in the United States. Including support troops outside of Norway, around 10,000 German soldiers were also involved. The aim of the maneuver was to send a signal of deterrence to Russia and to train for the so-called alliance case. The Alliance's military leadership has previously described NATO's maneuver as a complete success. "We learned a lot here," said US Admiral James G. Foggo on Wednesday at the end of the exercise in Norway. Fortunately, there were no incidents in which the soldiers were seriously injured, he said at this time.